This is one my favorite templates and photo editor on the website. 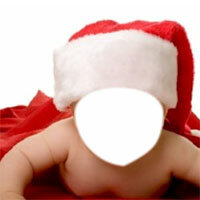 This is one of the best Chrismas templates online and you can add your kid's cute little face to this image and make him look adorable. There are many other templates as well for the kids but this one comes close to my heart because my 2 years old son's picture looked so cute that I have framed it and kept in my room. You can do the similar things and get the images as wallpapers on your cellphone or save the photo to your facebook profile.